Frida is dressed in her traditional Mexican garments, complete with skirt, blouse, scarf, and her trademark flowers in her hair. 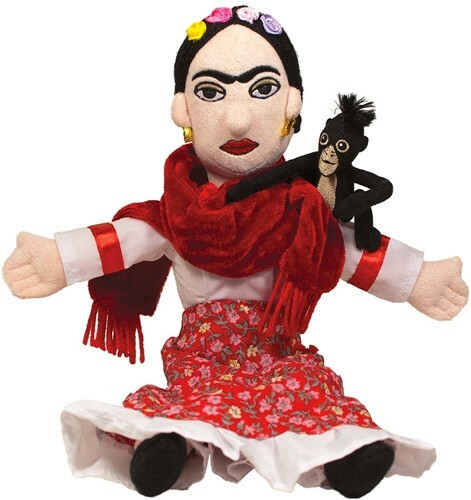 The 11" Frida plush doll also comes with a small monkey that perches on her shoulder; it's attached by velcro and is easily detachable if you prefer Frida monkey-free. According to her creators, her rather intense expression translates to something like, "What, you don't like my paintings? I couldn't care less." 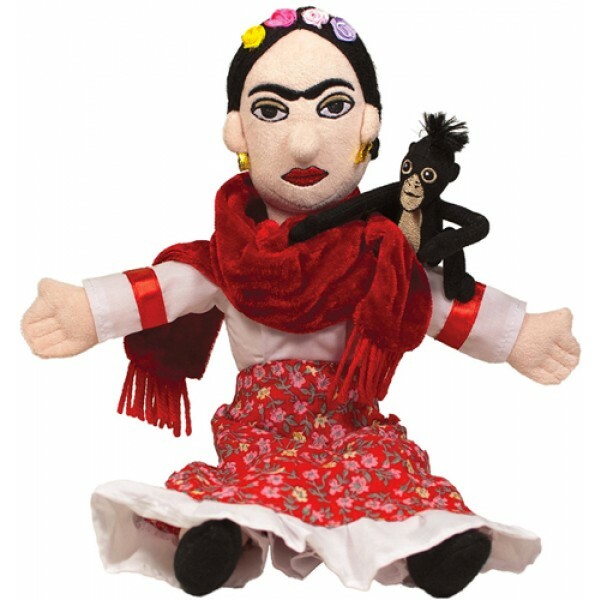 For more Frida Kahlo-related items, including books, t-shirts, dolls, and a coloring book, visit A Mighty Girl's Frida Kahlo Collection.